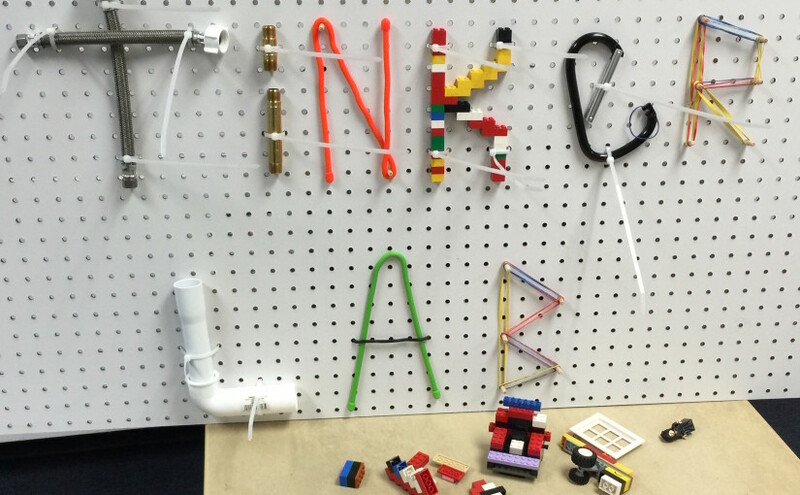 What, exactly, is a Tinker Lab? The word “tinker” often calls to mind images of someone idly passing away time, lost in an impractical activity. At Ridgefield Academy, however, tinkering is serious play that leads to relevant learning. 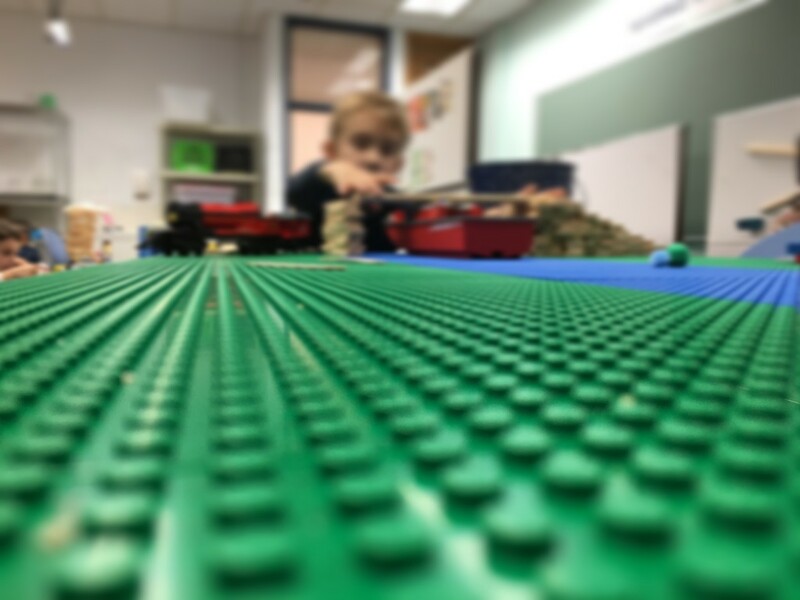 New this year, our Tinker Lab is a place where students, grades K through 3, have a chance to work, and play, with a variety of materials, exploring STEM concepts and solving problems creatively in the process. This sounds impressive but why, exactly, does the Tinker Lab work? One look at the empty Lab and you immediately sense the possibilities for learning. Every corner and table is stacked with Legos, blocks, dowels, pipes, marble runs and more. Add students to the mix, and the purposeful buzz in the room is palpable. 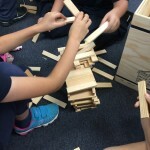 Sometimes following independent curiosity and, at others, fulfilling design challenges presented by teachers, students are busy building, hypothesizing, testing theories and making adjustments. They’re celebrating their successes and learning from their setbacks. And whether they’re aware of it or not, they’re also very busy making connections between science, engineering and math concepts. This interdisciplinary process, called integrated learning, is a key component of a Ridgefield Academy education. 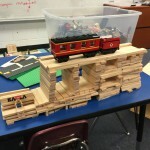 By giving students the opportunity to see the relationship between multiple disciplines and apply what they’re discovering during a hands-on project, they not only see how the skills they’re learning in the classroom have a practical application in the real world, they also recognize their own power to make an impact on that world. “If we pull learning out of books and put it into a real world application, we just see a greater resonance with students,” says Basil Kolani, our Director of the Center for Innovative Teaching and Learning. “We start to figure out what interests them. We also start to change their minds about what interests them, because everything is much more engaging when it’s tangible and relatable, when they can experience it for themselves. There’s no point in our grownup lives where we say, ‘OK, it’s math time for 45 minutes and then I’m going to switch to reading and then science time after that.’ In the real world, our day-to-day activities represent integrated disciplines. The real world always integrates subject matter. If we want students to make sense of the world around them, we need to incorporate that world into our teaching. 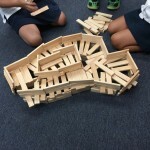 Our Tinker Lab and similar learning models are great places to make all of that happen naturally.” The Tinker Lab, then, isn’t just a place for students to learn information. It’s also a place for them to learn “how” to learn, a place to begin asking the questions that help them to shape their own education, empowering them to be proactive components of their own learning. It’s a place where not having all of the answers is a good thing, because finding the answers is part of the learning process. To be effective, then, education must shift from teaching students “what” they need to learn to “how” they need to learn. Mr. Kolani says that this uncertainty is not only OK, it’s one of the best parts of being an educator and a student.